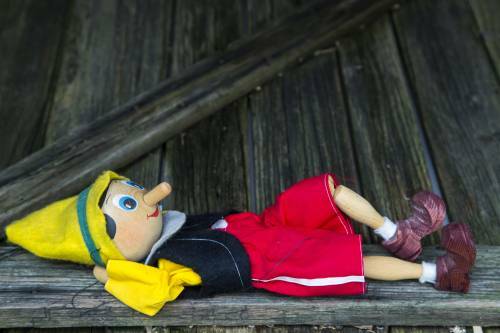 In this twist on the traditional Pinocchio story, things don’t work out exactly as expected. The Blue Fairy (Isabella Fiers, Homeschool) is convinced that she granted Geppetto’s (Blaine Saunders, Madison) wish perfectly, but the toy maker is less than thrilled with his new son Pinocchio (Jenny LaRue, Homeschool). Geppetto tries to convince the Blue Fairy of Pinocchio’s defects, and he begs her to take him back. The Blue Fairy refuses, but later agrees to give Pinocchio to a greedy puppeteer, Stromboli (Blaine Ferrell, Monroe), who wants the stringless puppet for his show. When Pinocchio saves them both from the mouth of a whale, Geppetto realizes he has grown to love his new son. Upon returning home, he is forced to convince Stromboli and the Blue Fairy that he deserves to keep Pinocchio.